Potato Peeler Machine Manufacturer in India, Potato Peeler Machine Supplier in India Potato Peeler Machine in India. 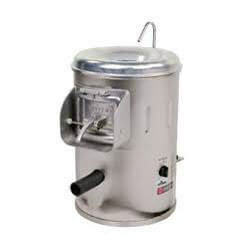 Potato Peeler in India Being a client centric firm we are into offering an exclusive range of Hobart. Best quality material and advanced technology is used for manufacturing these too after testing their quality under rigorous measures from the vendors end. These are well known for their durable nature and fine finishing. Additionally, we offer our products at very economical prices in market.